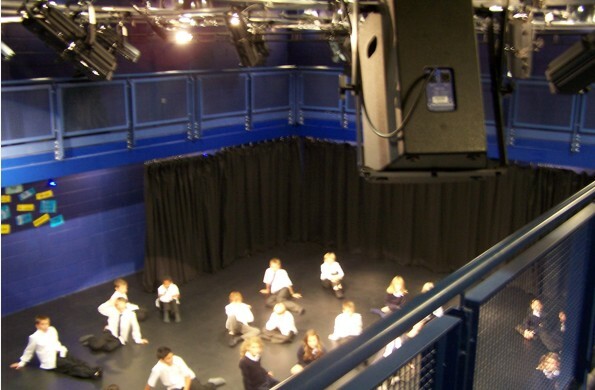 As performing arts and theatre consultants one of our specialist areas is drama studio design, dance studio design and technical specification for stage lighting, sound, AV, staging and seating in schools, colleges and universities in the education sector, we have worked on literally hundreds of projects all over the UK and overseas ranging from small scale primary school hall and drama studio refurbishments up to full scale professional new build spaces in colleges and universities that are used for public performances as well as teaching. Ideally we need to be involved early in the studio design where we can have an input into the design and layout of the spaces including seating/staging layouts and sight lines. We then work on the detailed design and specification of the technical systems, co-ordinating these with other services and ensuring the completed design meets or exceeds the requirements of all the stakeholders and key users both in terms of budget and functionality. Our collaborative approach ensures the design takes into account the requirements of any courses that need to be taught in the space and will consider safe access and maintenance of all equipment as well as incorporating flexible, innovative and easy to use solutions. Ultimately using our services will ensure your project runs smoothly, is cost effective and provides the highest quality solution specifically designed to your needs. Generally speaking we would expect you to save the cost of our services by obtaining lower prices for the technical fit-out due to tendering on a detailed specification and on the systems being fully integrated into the building and services design.